This man is living history. 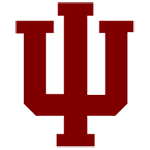 He was a a three-time All-American at Indiana and a star member of the only team in school history to go undefeated, in 1945. 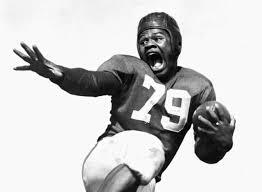 He then became the first black player drafted into the NFL, and played seven seasons before injuries took their toll. He also brought some civil rights sanity to Bloomington. 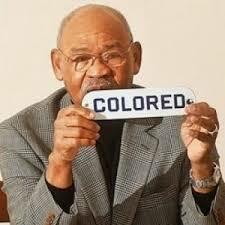 He personally tore down the sign in the movie theater that designated balcony seating for “Colored” people, and keeps it in a closet at his home. He later worked for the university as a special assistant to IU President John Ryan and a professor of Sociology. His wife, Viola, has been influential as well, as a juvenile court judge. They ooze character and integrity, and have maintained a sense of humor despite many experiences that could have left them bitter. He's been the subject of a book and documentaries, and with good reason. Like I said, he's living history. This conversation was conducted at his home in Bloomington, where I got to see the literal sign of the times that he helped change. I easily could have done two episodes with him, but I also was recording with Bob Hammel and Angelo Pizzo that day, and didn't have room on the recorder to talk that long.